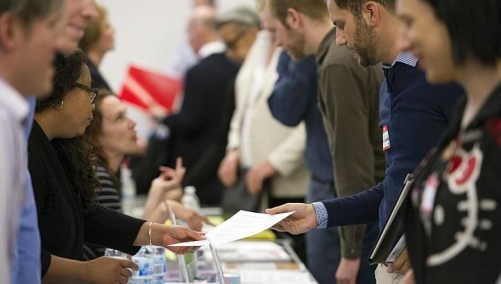 [WASHINGTON] The number of Americans filing new claims for unemployment benefits dropped to its lowest level in nearly 5.5 years last week, signalling labour market resilience in the face of fiscal austerity. Initial claims for state unemployment benefits fell 4,000 to a seasonally adjusted 323,000, the lowest level since January 2008, the Labour Department said on Thursday. Claims for the prior week were revised to show 3,000 more applications received than previously reported. Economists polled by Reuters had expected first-time applications to rise to 335,000 last week.